The CFA is committed to supporting the professional development of young foresters. It does this in several ways; the involvement of young people on the Governing Council of the CFA, the establishment of the Young Scientist Publication Award, assistance with writing scientific papers, publication of news and information in the CFA newsletter of relevance to young foresters, and perhaps most clearly through the Young Forester Award. The Young Forester Award is designed to support the professional development of foresters below 35 years of age through the provision of a short-term work placement and consists of a designated placement combined with a bursary to cover a stay of around three months with an established and renowned forestry organisation in order to meet their professional interest. The hosts share the desire to support the development of the next generation of foresters. Our partner organisations are all committed to sustainable forest management to help secure the future for our forests for people and the environment. Read about the experience of previous winners of the Young Forester Award here. 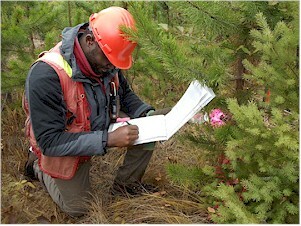 The application process for the Young Forester Award 2020 is outlined here.